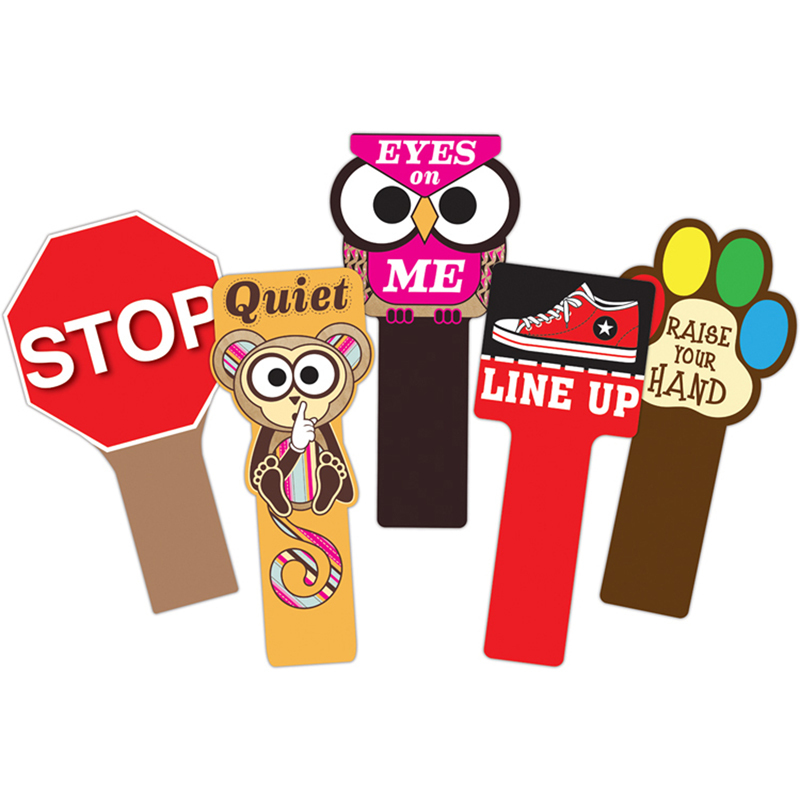 Classroom signs for silently informing your students of the proper behavior or action required. Thermally wrapped with a 20 mills plastic laminate for long durability and sturdiness. Handles will not break leaving sharp points. Message on both sides.